Flexibility and strength of garden fencing are the main considerations when deciding which type of fencing would be right for you. The design of the fencing depends on how you want to use the fencing. If you want a fencing system to keep out the animals while ensuring that it blends perfectly with the landscape, choosing a nearly invisible fencing is a good idea. 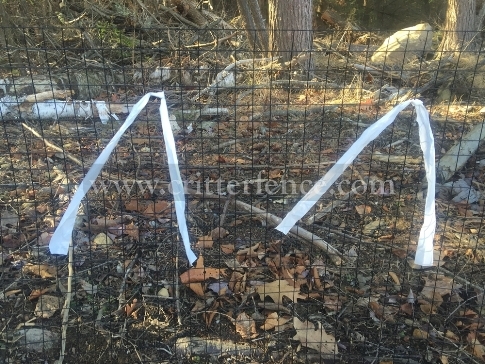 Fencing systems with minimal visible impact are available from Critterfence.com - Fencing which are hardly visible unlike the conventional fencing and is excellent for restraining the animal especially deer. Viewing from a distance of 15 feet will make it appear as if there is no fence at all, such is the visibility of this type of fencing. The fencing system is not only pleasing aesthetically but also quite pocket-friendly. The fencing system has good durability that justifies the price. Fence posts are integral to any fencing system as it provides the structural stability to the system and adds to the strength. Therefore, when you are budgeting for any fencing system, you must consider the cost of fencing posts too. The price can vary depending on whether you prefer wooden fencing posts, concrete, metal or vinyl fencing posts. However, if you decide to use critterfence, there are chances of saving some good costs by doing away with fencing posts altogether. Since the critterfence material is flexible and strong, it is ideal for suspending from trees that act like fence posts. Moreover, the fencing system remains almost invisible that comes as a bonus. When you use trees as fencing posts, you enjoy much flexibility with the system as you can remove it at any time without any hassles. Even if you use the sleeve and post system for installing the fencing system then also you have the choice of making it everlasting with locking sleeves spikes that are galvanized or if needed make it temporary and portable. The flexibility allows users to install the fencing system in such a way so that they can remove it when needed and fix it again. You can put the fence back in winter when flocks of hungry deer wander around in search of arborvitae. The galvanized sleeves remain in the ground that allows quick removal and re-installation as some people might like to till the entire area by removing the fencing and then fixing it once again. The primary function of fencing is to prevent the movement of animals, birds, and rodents to and from the enclosed space whether it is a garden or farm and there are fencing solutions available for all kinds of needs and budget. While most fencing prevents ground movement of animals, there are some special extension that can be mounted on standard posts, corner posts and even fences which are complete. It is done by attaching a top and rodent barrier that prevents birds and raccoons finding their way into your garden. When you cut off the entry of animals and other wildlife into your garden, you enjoy health benefits by cutting down the tick population massively.